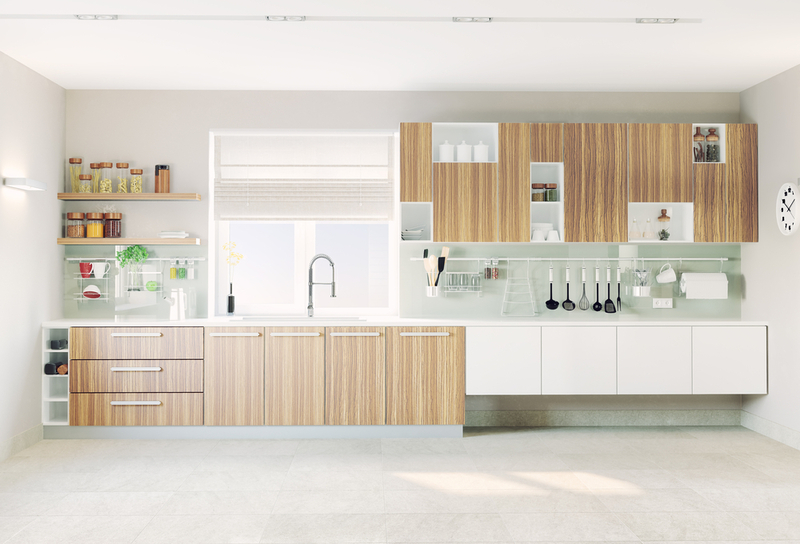 All white kitchens will always be timeless; however, according to manufacturers in the kitchen industry, gray was the most sought after color in 2015. 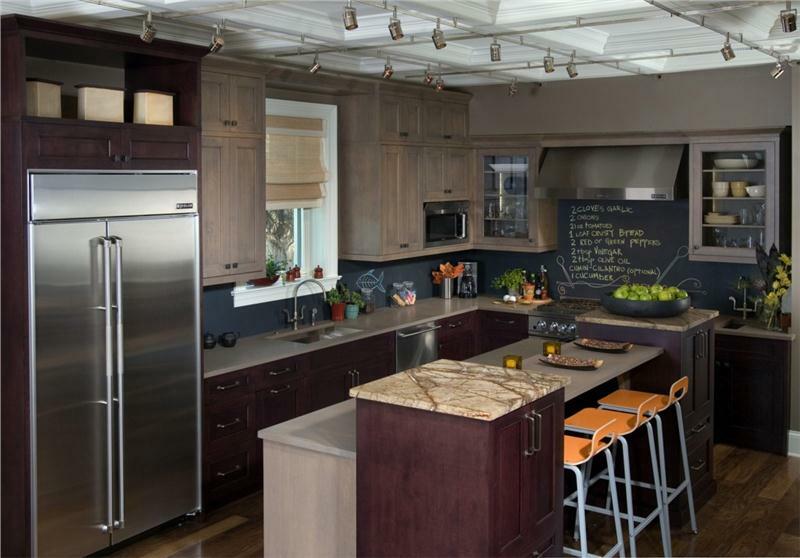 Opt for softer gray tones for cabinet choices, while darker gray is a great accent color. A gray and white combo might be the way to go as the colors will compliment eachother nicely. 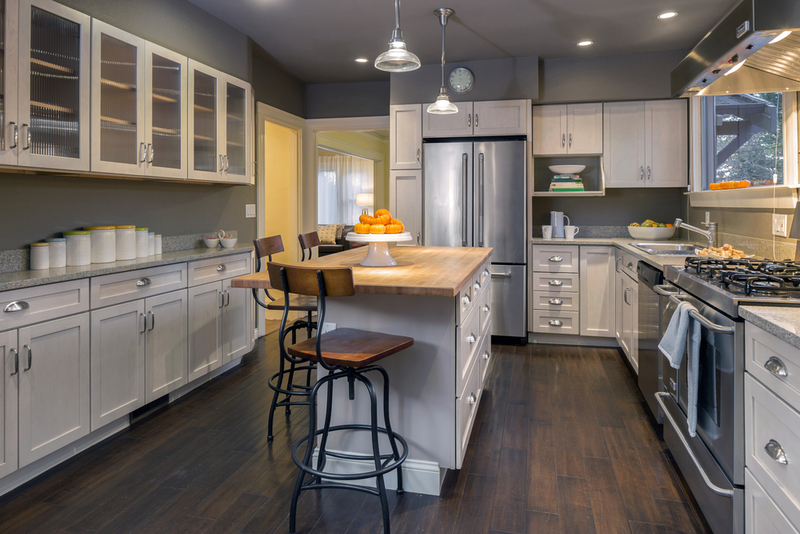 Say goodbye to clunky cabinets with twist/turn knobs and hello to a streamlined look and better functionality. Hydraulic hinges were all the rage last year and allowed buyers to go handle-less by making doors open and shut with the touch of a button. 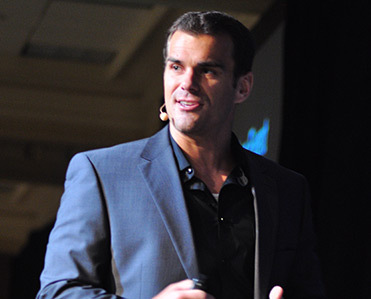 If you aren’t quite ready for that, choose handles that are sleek and minimalistic. 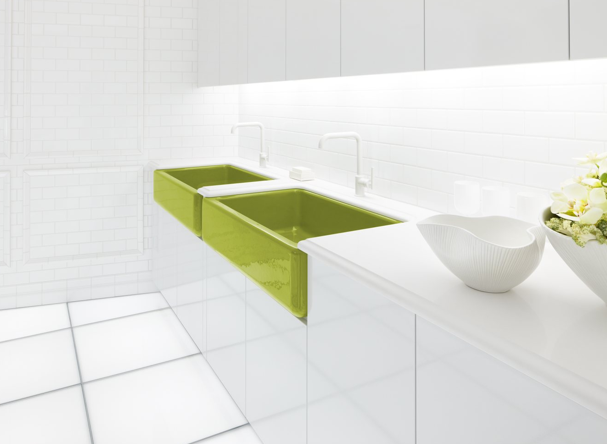 No longer do you have to choose a sink that is either white or stainless steel. 2015 enabled shoppers to channel their creative sides by adding a pop of color to an otherwise mundane room. Just make sure to pick a color that works well with other accent colors in your home. Who says you have to stick to one medium in your kitchen? Have fun choosing materials that compliment one another. Mix dark and light woods with granite countertops and throw in some stainless steel appliances and laminate tables while you’re at it. The chalkboard backsplash is for homeowners who are going for a fun, young, more casual vibe. 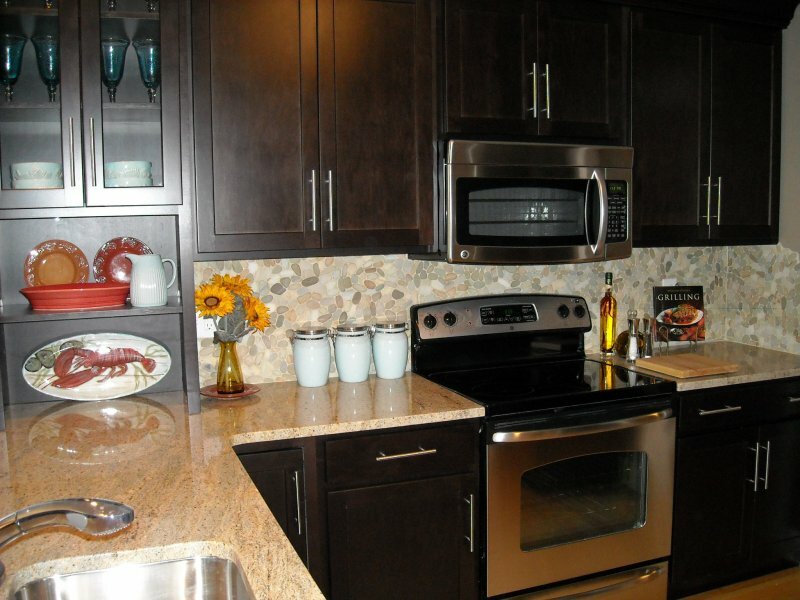 Use the backsplash for making lists and remembering recipes. Chalkboards are also very child friendly. If your house screams contemporary, the stainless steel backsplash is a must. 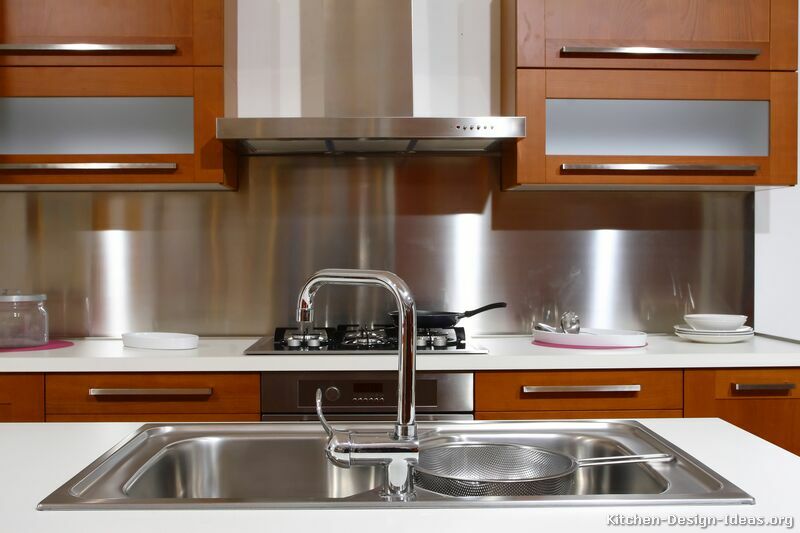 Stainless steel is a material that integrates seamlessly into any kitchen, is durable, and is easy to clean. There is also no grouting or cracks where food, grease, and dirt tend to accumulate over time. 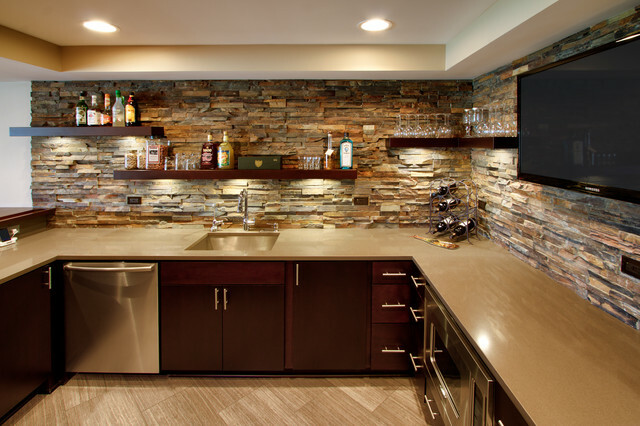 Natural stone provides a certain aesthetic appeal that livens up your kitchen. Depending on the style of the rest of your home, choose a stone that either has beige undertones or gray undertones; just make sure not to mix the 2. 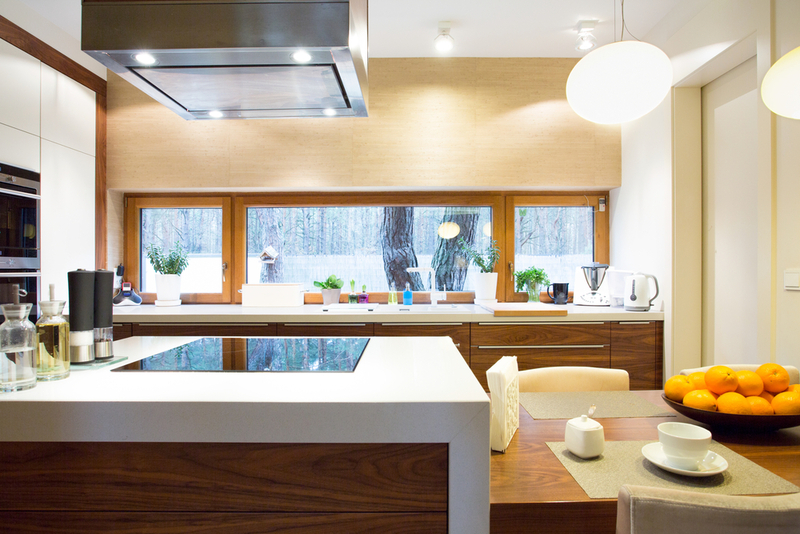 Sustainable homes and “going green” was a big trend for 2015 and is sure to carry on in 2016. 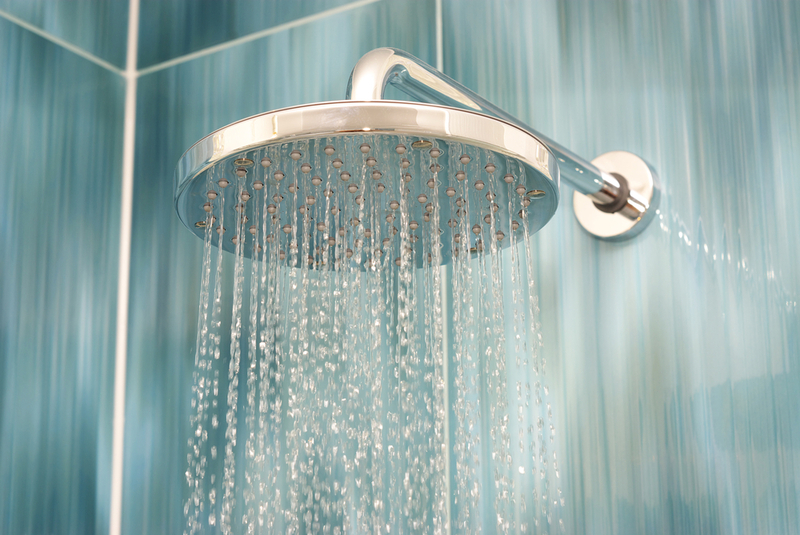 Conserve water by opting for hands-free faucets and smart showerheads. A lot of these fixtures use only 1.6gpm (gallons per minute) as opposed to the standard 2.6gpm so you can feel even better next time you’re rinsing off. You can still have a stylish bathroom in a small space by paying attention to each appliance’s functionality. Optimize space by adding hidden storage features or conceal your toilet with a decorative toilet cover. People automatically assume that there has to be a bathtub in the bathroom. But if you are a person who doesn’t like baths, free up the space and remove the tub. 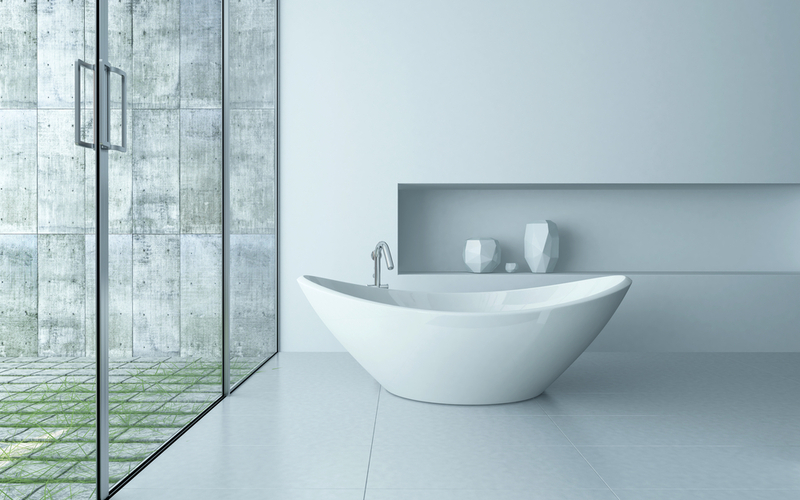 If you do enjoy a nice soak however, opt for a stand alone tub. They come in cool shapes and sizes and add a modern feel to the room. 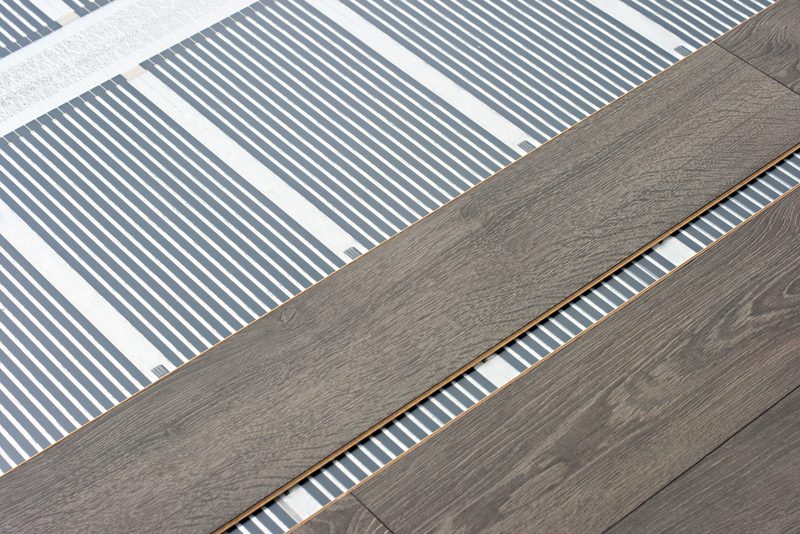 There isn’t much to say about heated flooring. 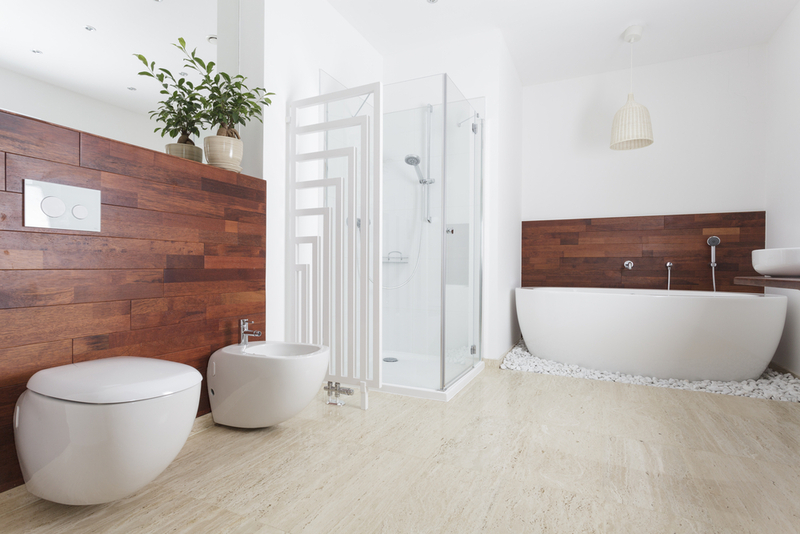 Who doesn’t want to step out of their shower on a cold winter morning onto warm wood or tile. Heated floors will also be a great selling point in the future. 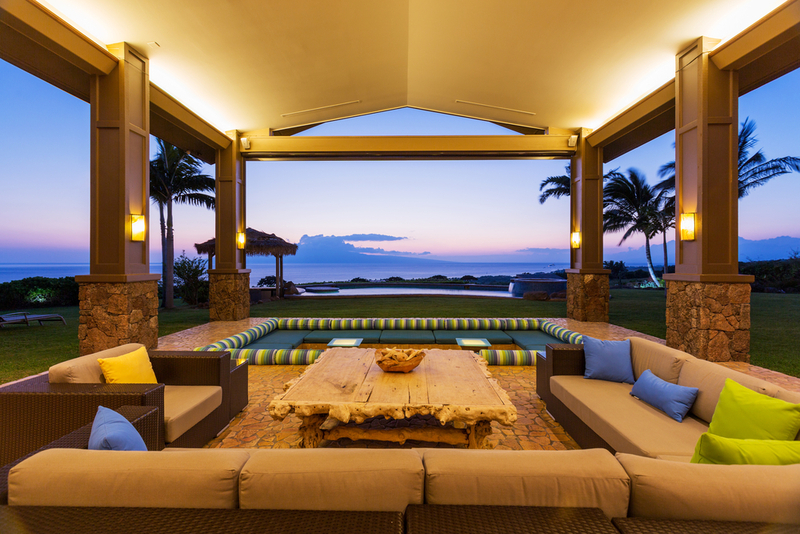 Especially if you live in a warmer climate, a backyard lounge area is a must. 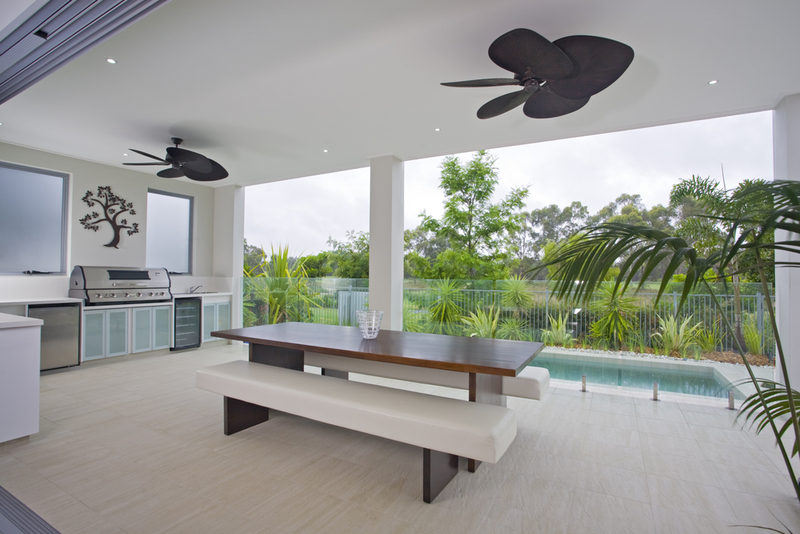 Nowadays, it is easy to find relatively cheap outdoor furniture and it will greatly increase your home’s appeal. Maximize your functional living space by choosing comfortable couches and weatherproof tables and chairs. A stand alone BBQ is no longer enough. In 2015 many homeowners took it to the next level by renovating their outdoor space and creating a fully functioning kitchens. This is not to say you have to go crazy, but upgrading your barbeque and adding a seating area is a great place to start. 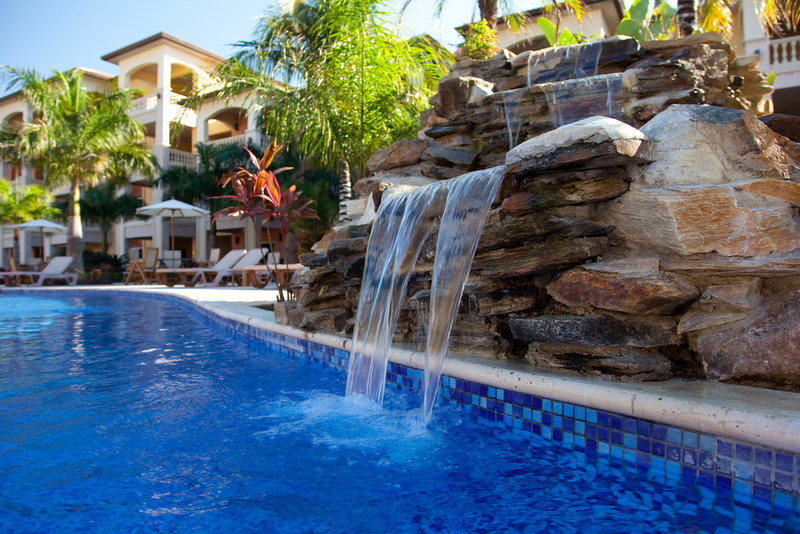 Install a waterfall, fountain, or something of the like in your backyard to get the feeling of being in a nature wonderland. Not only is this visually appealing, but it will drown out the sound of noisy neighbors and loud traffic. A backyard’s landscape can set its entire tone, so pick a theme and stick with it. Maybe you want a lush, tropical jungle or something minimalistic, concrete, and easy to maintain. 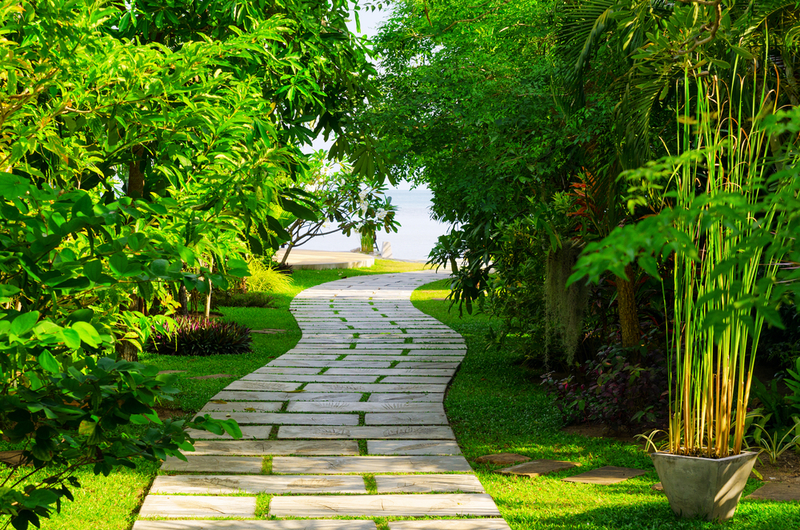 Ultimately, landscaping is very subjective and will look great as long as you are willing to put in the effort.